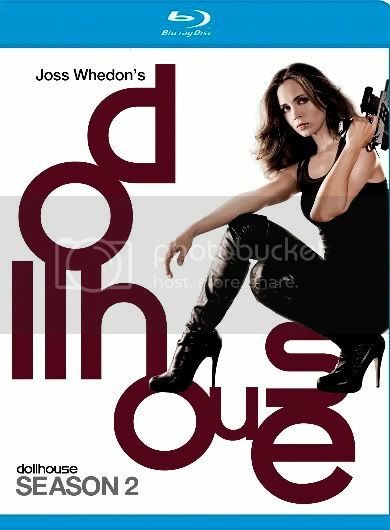 oss Whedon’s newest series, “Dollhouse” got off to a rocky start before it even aired on Fox with a pilot reshoot by Whedon and then after the Fox network originally slotted the show to debut on Mondays with “24”, they shifted it to the Friday death slot after “Terminator: The Sarah Connor Chronicles”. Lucky for Whedon, while “Sarah Connor Chronicles” was cancelled, “Dollhouse” got a second chance at life despite dwindling week-to-week ratings. Now the show comes to Blu-ray and although I admit that I never did get into the show even with DVR’ing the first episode, I was impressed with the end result and saw a show grow from having potential to meeting it as the season progressed. All 13 Episodes will be arriving on 3, BD50 Discs with DTS MA Audio. Maggie will be attending ComicCon so we will be sure to post pictures of the ComicCon exclusive Blu-ray version!